On September 1, 2004 the FAA inaugurated a new pilot certificate dubbed the "Sport Pilot" that makes learning to fly easier and more affordable that ever. Intended primarily for recreational use, you can now become a pilot with as little as 20 hours of flight instruction! What can you do as a Sport Pilot? What can you fly as a Sport Pilot? What kind of aircraft is that? In addition to making becoming a pilot more affordable, the FAA also made it more affordable to own this new category of aircraft! As a result of the new Light Sport Aircraft (LSA) rule, there is a large number of slick new affordable manufacturer-built ready-to-fly aircraft coming into the marketplace. > denied medical who just want to fly Sport Pilot for fun. > case of Catch-22 from the start! > and IS doing so today...this is so unfair! > experience level, with a denied medical or not, to fly just for FUN! > medical MANY years ago. > needs more pilots today! > Thank you for your time and effort. Lancaster, PA KLNS, and the Villages, FL 5FA1. You can own a share in a new Bristell for only $175 per month and $50 per hour wet. We are also introducing a lease program for new Bristell Aircraft for $11,000 down and $1452 per month. A CFI owner of a school can earn $59,000 per year if he can fly one lesson per day, five days a week and rent the plane 4 hours per week. This is based on a rental rate of $110 per hour wet and a CFI fee of $50 per hour. Last edited by loumancuso on Tue Nov 29, 2016 12:01 am, edited 1 time in total. I agree it is the most lust-worthy LSA. It is beautiful. It only weighs 685 pounds, so it has a huge useful load of 645 pounds. It has 100 hours of demo time and some minor damage from a gentle ground loop. It needs a new home and I am looking for an offer, even if it seems too low. Please, if you agree with Fast Eddie that this is a lust-worthy plane for you, please make an offer. A new 2017 TDO identically equipped would be about $175,000 We are asking $139,000 and would consider any offer. I think Lou has great program. I am currently a student at Lancaster and fly the Bristell NG-5. Last week 11/23/2016 I did my first solo. The airplane is a fun, great flying machine. The share program to me is a no brainer! Once I complete my training I am certainly going into the program. That is the main reason I picked the school. Last edited by pjdavis on Tue Nov 29, 2016 3:51 pm, edited 2 times in total. Well...... is it an appropriate time .... now that 12 years into light sport, and it facing the opening of new easier medical standards for private pilots, perhaps as a new thread to open the topic "Did the Light Sport and LSA programs accomplish what was intended or expected?" and or "What's the future of Sport Pilot and LSA?" I would submit that the cost of a new LSA (in most cases more than the base price of an Aston Martin) is well beyond the reach of most folks like me who want to give flying a go as a fun part-time hobby. And the lower than Private Pilot hours are only relevant if one starts seeing folks comment that they have been able to get safely qualified and licensed in those stated 20 hours, not 35-50 hrs as most seem to be reporting. I believe the cost of aircraft ownership is cost prohibitive for most. However, renting a newer LSA is about the same price as renting an older Cessna or Piper. Regardless of how many hours it takes, you should be able to get a Sport Pilot certificate in less hours than it would take you to get a Private. Not making any particular case, but scrolling back through this thread, for some reason the $139k for the Bristell taildragger does not seem as high to me as it did just about a year ago. Still, one needs an “un-feint” wallet to dwell in that territory regardless. 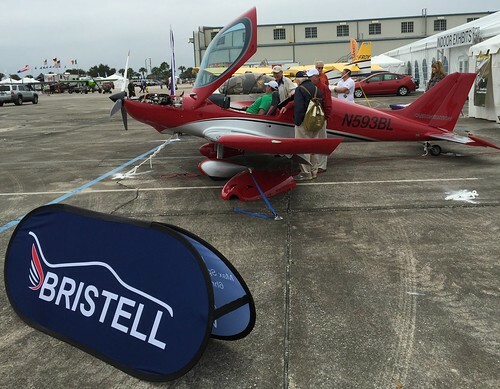 FastEddieB wrote: Not making any particular case, but scrolling back through this thread, for some reason the $139k for the Bristell taildragger does not seem as high to me as it did just about a year ago. Eddie, I could be wrong, but . . . I don't think the tail-dragger version of that airplane is selling very well. They have had some issues with guys handling it. That may account for the price drop. At face value, I don't care for the wing-tip ground clearance. Wm.Ince wrote: At face value, I don't care for the wing-tip ground clearance. I guess that could be an issue. I was about to say that, in spite of a bunch of taildragger time, I could not recall any in a low wing. 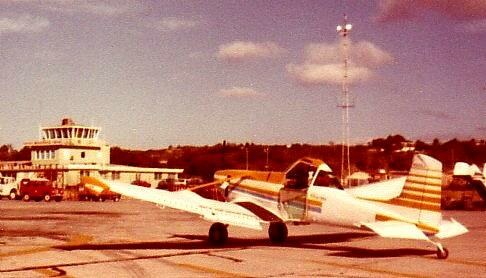 To be honest, I did manage to lightly drag a wingtip in a Citabria once. Actually, a student did, relaxing aileron on touchdown in a crosswind, but as CFI in the plane, I still get to own it. 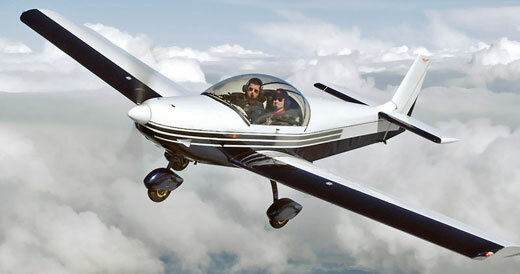 chicagorandy wrote: I would submit that the cost of a new LSA (in most cases more than the base price of an Aston Martin) is well beyond the reach of most folks like me who want to give flying a go as a fun part-time hobby. And the lower than Private Pilot hours are only relevant if one starts seeing folks comment that they have been able to get safely qualified and licensed in those stated 20 hours, not 35-50 hrs as most seem to be reporting. The higher you go, the higher it gets! Like they say, "The sky is the limit!" But for those who have the will, they will always find a way. But I would submit, in your case especially, since you are closely wired into the EAA, an older Taylorcraft BC-12D or Aeronca Chief 11AC can be had for $20K-ish, and the EAA is rife with folks that could check out and make necessary repairs to your choice. And don't be afraid of the "Taildragger myth". I took a flight in a Piper J3 a while back, and found it to be an enjoyable, docile, easy to fly (all be it slow) aircraft. And landing it was easier than a Skycatcher. Insurance wise, I almost bought a '46 T-crate, but got a quote from Avemco first. Shock. Full coverage, only $294 a year. The plane was so good it was gone before I could make an offer. Oh, and just to close, the only person I ever heard of that got his SPL in 20 hours was an 8-year former Army helicopter pilot. Go figure. I have seen some school websites that in fact DO tell prospective buyers that the guideline hours numbers are not reality. So at least they too recognize the disparity which is fair. Last edited by chicagorandy on Wed Sep 27, 2017 1:04 pm, edited 1 time in total.